Like, why do women and men find abs so attractive? What's so good about some dents on a man's stomach that's attractive? I am attracted to fit people with abs because they take care of themselves (which is admirable and attractive). Seeing the result of that is attractive because of the efforts made, more-so than the Adonis factor. So, all in all, hard work is cool to see. Those who are physically fit and in good health tend to be more attractive than those who aren't. It looks masculine and shows strength (protective quality). It's not an absolute requirement but the closer the guy is to a 6 pack is, the more attractive he is to me. It also probably indicates that he likes working out, which I do too. But, how do you get six-pack abs? Apparently, six-packs come when you have an overall athleticism and a lower body fat percentage under 12%. Do you fancy them? Boy am I running late today. Lots going on.... But, those look like 8-packs!!! I am loving the first guy. He is so fine! And the angle of the fourth image is awesome. I almost had a six-pack once--it was when I was a grad student at Cal-Berkeley and swam a mile or two in the pool every day at lunchtime. My buds and I were having a competition to see who could do the most laps, and we recorded our daily efforts on a chart. The object, originally, wasn't to gain a six-pack, but after a couple of years I noticed that side effect! Stretching your abdomen regularly, several times a week, helps too. I do that now, and I can see some long-lost general definition starting to come back. Oh, btw, what I started to write in the first place: Merry Christmas and happy New Year, Fit Studs! 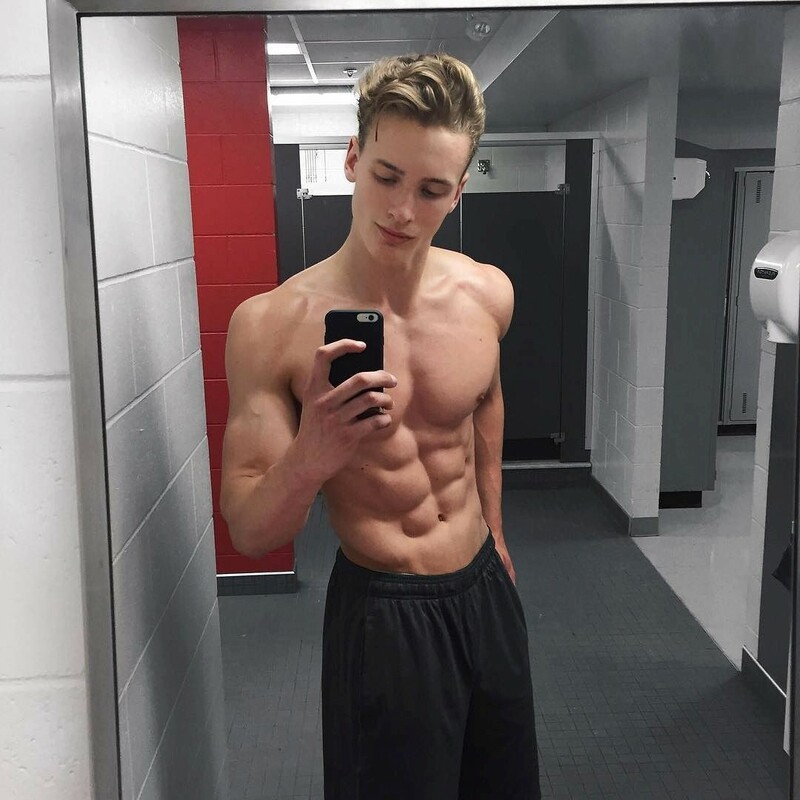 Getting ripped abs can get you laid, although not in the direct “pull your shirt up in a nightclub and wait for the women to show up” kind of way. It can make your face look better, which is a bonus, but most importantly, if you’re lacking confidence and ambition, the simple pursuit of fitness — and being successful at achieving something so difficult — can transform who you are in a positive way. Again, if you don’t go all arrogant jackassholish, these are personality changes that a lot of women find attractive. There is 300k of us now on Tumblr!